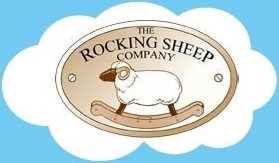 Welcome to The Rocking Sheep Company! Gorgeous rocking sheep and rocking lambs. Hand Made in Britain - loved Worldwide. 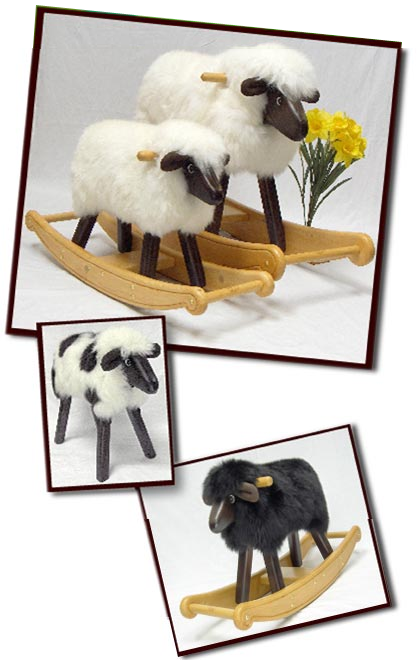 We are specialist makers of beautiful life-size rocking sheep and lambs. ♥ The woolly alternative to the rocking horse. ♥ Removable washable genuine sheep's fleece. ♥ Our Georgian bow rockers are uniquely designed for use on all kinds of flooring including tile, wood, stone and carpet. 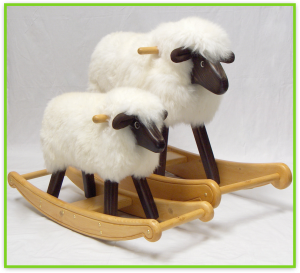 ♥ Green sheep!...made from natural materials with our environment in mind. ♥ Woodwork carries a lifetime guarantee. ♥ Conforms to British and European safety regulations. ♥ Delivered to your door fully assembled and ready for fun! ... and everywhere that Mary went, the lamb was sure to go! We are so confident in the quality of our flock we offer you this promise. Go to the About Us page for more details.